Release the rear seat center seat belts. 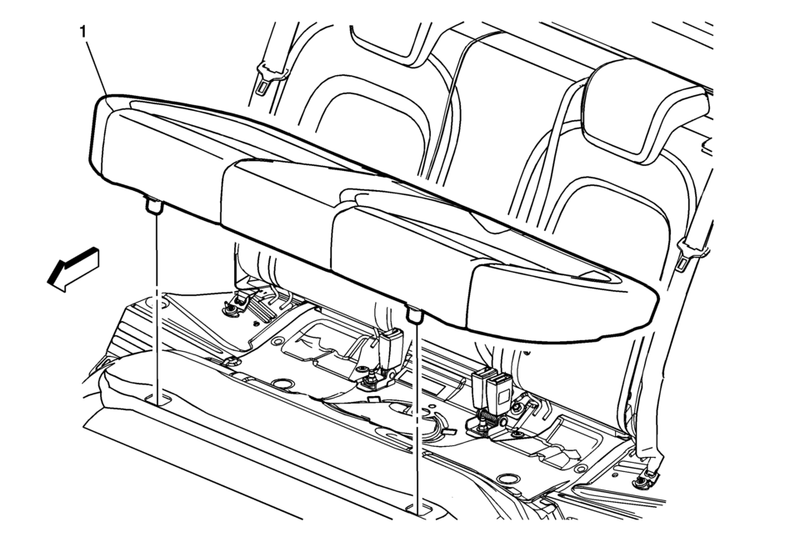 Lift up on the front of the seat cushion at the latch locations to disengage the cushion retainers from the floor. Push down on the rear of the seat cushion to unhook the cushion from the floor wires.